We understand Clients will always get emphasised with the company who always do something new, advanced and updated in the Community. So, this time again we’re glad to announce the latest releases & monthly updates at SocialEngineSolutions for this March, 2019. 1. There are many packages by SocialEngineSolutions at SE Store. Which one should I use for my website? As every website has a different concept and functionality, the use and number of plugins required are also different. We have worked out and have created a few packages which may suit your requirement and you get them at more than 30% discount. But, if the available packages does not suit your requirements, then you can contact us and provide us list of plugins. We will assist you with the custom tailor made package for you and get it available on SE Store. 2. My 80% audience is mobile, so I want my website to be handy & Mobile Friendly. What plugin, theme or app should I use for my website? 3. I have already purchased few Plugins from SE Store and now I want to have a Package without paying for those plugins. What should I do? If you have already purchased a few plugins and need a package without them, then please contact us and share the list of plugins with our support team. We will check and create custom package as per your request and submit it at SE Store so that you can proceed with your purchase. 4. For what all work I can use the custom services providing for free with the SES Products at SE Store? We are providing free hours for custom services with almost every SES Product purchased from SE Store. You can use these hours for any work of your choice within 7 Days of Product purchase. Contact our support team to avail the offer. Additional Offer from SocialEngineSolutions: Free 1 Month Digital Marketing & Brand Establishment Service on purchase of orders above $999 from SE Store. NOTE: We are providing 7 Days trial for both the Native Mobile Apps (Android & iOS). 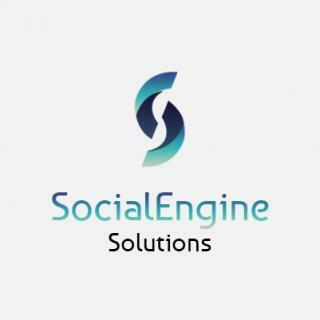 Contact our team at sales@socialenginesolutions or support@socialenginesolutions to get your trial App. P.S: If you want any Custom package / Bulk Plugin purchase at discounted rates, then post in reply and we will create the package & get it available on SE Store for you to purchase.